Will God give us whatever we ask for? 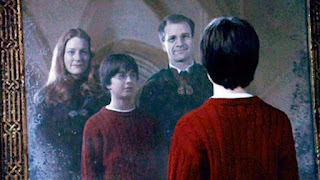 Harry Potter discovers a mirror in the room of enchantment! It is not a normal mirror. When he looks into it, he sees himself with his parents. He was orphaned as a baby. He spends hours gazing at the image in the mirror. And it is only when Dumbledore explains that he realises what is going on. The mirror shows you what your deepest desire, your deepest wish is. It is the mirror or Erised, which is desire backwards. Jesus speaks here of desire, when he says (v7), 'Ask for whatever you wish, and it will be done for you'.